Nurmagonedov, who defeated Conor McGregor last year, took a photo with the leader who encouraged parents to murder their LGBT+ children. 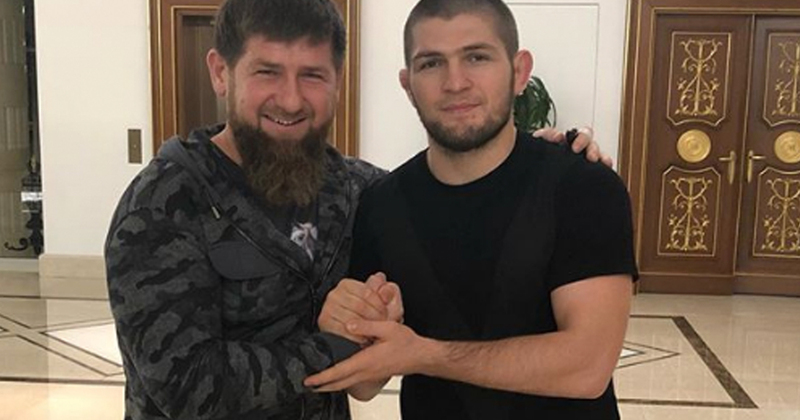 Russian mixed martial arts fighter Khabib Nurmagomedov posted a picture of himself with the leader of Chechnya, Ramzan Kadyrov on Instagram yesterday. Nurmagomedov is a two-time Combat Sambo World Champion and the reigning undisputed UFC Lightweight Champion. Last October Nurmagomedov fought and defeated Irish fighter Conor McGregor in UFC 229 in Las Vegas. Nurmagomedov is not the first high-profile fighter to meet with Kadyrov. The Chechen leader is allegedly a UFC fan and met with Floyd Mayweather in 2017. Since December, violence against those perceived as being members of the LGBT+ community in Chechnya has escalated. The Russian LGBT+ Network has reported that up to 40 people have been illegally detained, while a further two have died as a result of torture. Additionally, reports point to evidence of the sexual assault of Chechen women at the hands of guards. Witnesses have claimed that women are being raped with electric shock sticks while men have had their heads shaved and are being forced to wear women’s clothing. Last night, the Irish LGBT+ community and their allies gathered outside the Russian Embassy in Dublin to protest the ‘gay purge’ currently taking place in Chechnya.